Richard Burrett has been a member of the Borough Council since 1992, and is now the longest continuously-serving member of the Council. 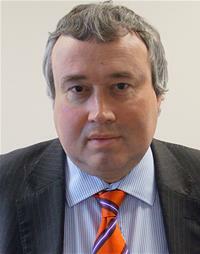 He has held a wide variety of roles during that time, is a former Leader of the Conservative Group, and served as a Cabinet Member throughout the period during which the Borough Council was Conservative controlled, from 2006 to 2014, as well as being Deputy Leader of the Council during 2013/14. He is currently the Vice-Chair of the Governance Committee. Richard has also been a West Sussex County Councillor since June 2009. He has been a member of the County Council’s Cabinet since December 2015, and is currently the Cabinet Member for Education and Skills, as well as being the Deputy Leader of the County Council. He previously served as Chairman of the Children and Young People’s Services Select Committee and as Chairman of WSCC’s former East Crawley County Local Committee. He served as a School Governor in Crawley for over 20 years, during which time he was Chair of the Governing Body of a large Primary School and Vice-Chair of a Secondary School Governing Body, as well as having served on Sussex University’s Annual Forum since 2006. He is a trustee of Crawley Open House and of the Gatwick Airport Community Trust, and previously served as a Non-Executive Director of the former Crawley Primary Care Trust. He is a long-serving representative on South-East Employers, and has also previously served on a variety of LGA Boards and Panels concerned with local government staffing issues. In his spare time, Richard enjoys music (mainly indie/alternative), walking, and exploring the countryside.